Walking meditation is widely practiced in Theravada Buddhism. It has categorized under the first foundation of mindfulness, which is body (kaya in pali). Walking meditation helps one to be mindful on walking one can observe the different steps of feet, they can restraint from killing insects on the ground. The Buddha intended to let monks to be mindful on walking not just while practicing meditation but when monks moved one to another place. 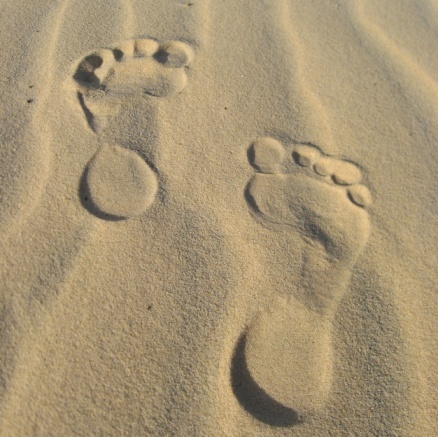 There are six steps of feet while we are walking on which mediator can be mindful. 6. Lifting, leaving, moving, dropping, touching, keeping & stepped fully. Before short walking one must know that he /she is going to walking. Without knowing if he/she walks, he/she might unintentionally hurt others (visible & invisible being on earth & air). Without standing a human can’t walk. Hence the first thing to realize is he/she is standing on his two feet. He/she can feel the harness & softness of the ground he/she is standing on. After realized he is standing, he/she arises his/her intention to walk, knowing that he is ready to walk, he/she moves his feet one after another.